Now that you have watched the video, follow this link to google forms to summarise the main points for me. After watching both videos on gravity, you can follow this link to complete your homework question. This is not optional, everyone needs to complete this. Read this factual text about forces before your next Science lesson. Read it every day if you need to! This will help you be prepared for your next lesson. We use an annotated diagram to show an idea or an object. What does an annotated diagram include? An annotated diagram includes a picture and words or descriptions about the idea or object. 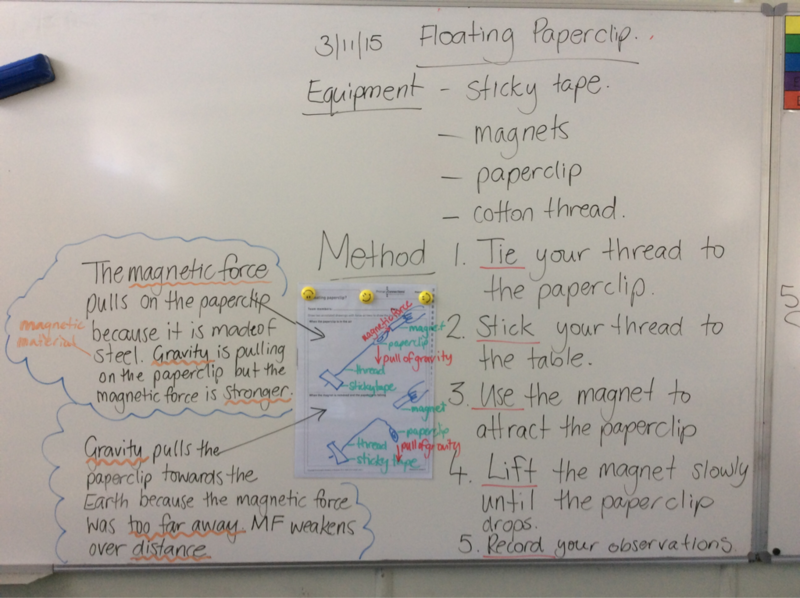 This week in science, we followed a procedural text to make a paperclip float. Of course, the paperclip was not really floating, it was being acted upon by magnetic and gravitational forces. When the paperclip was 'floating in the air', it was being pulled by the magnetic force. 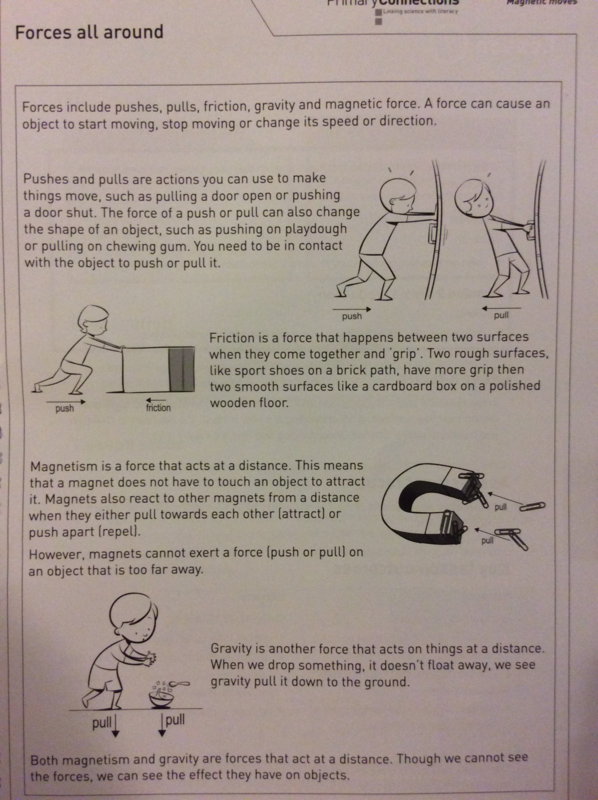 Gravity was also trying to pull the paperclip to the ground but the magnetic force was the stronger force. 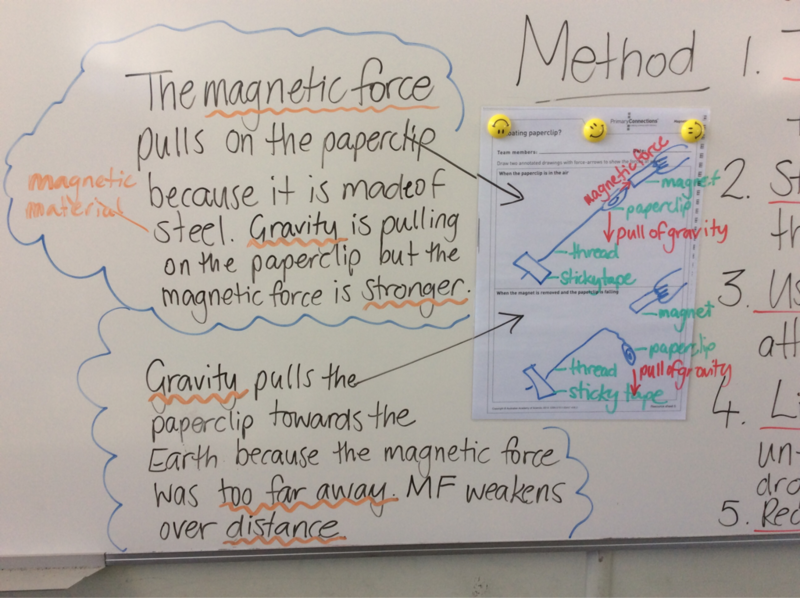 As we slowly pulled the magnet further away from the paperclip, the magnetic force weakened until it was no longer strong enough to attract the paperclip. This is when gravity took over and pulled the paperclip to the ground. We could clearly see in this activity that the forces of gravity and magnetism can act at a distance.